Thinking back on my years growing up, Clearwater beach has a fond place in my memories. Being raised in Tampa, Clearwater was the closest beach area to home. Our house was maybe 15 miles from the beach, so there were many a Saturday or Sunday afternoon spent at Clearwater beach. This didn’t change even as I got a little older. This is because as the years went by, the city continually made sure the beach evolved into something that met the needs of beach goers of all ages. So weather you are looking for a great family beach or a place that singles can play at night, this is a great place for you. This is such a great beach that it has been ranked as one of the best city beaches in America. Consider that for a minute, and you will realize what a great vacation spot this really is. When I think of this beach, what comes to mind is the public beach aspect of the area. This a huge beach covered with sugar white powered sand that feels like heaven to your feet. It is designed with tourists in mind, and kept in immaculate condition. Recently, they even put in a new beachwalk that is landscaped with flowers and palms trees. It looks magnificent and provides a large area for walking, rollerblading, and other kind of California beach type activities. One such activity is “Sunsets At Pier 60”. 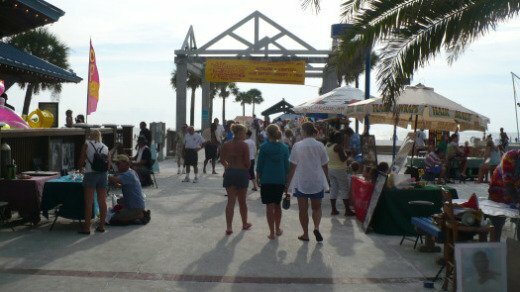 It is a daily event where vendors and artisans come and set up along the pier offering everything from face painting to jewelry. Pier 60 is at the heart of the beach, and this event is a daily high of all who come. Even the locals get into it and add their own flavor to the evening. I remember my daughter, like the woman above, talking to a guy dressed up as Jack Sparrow, and my nephew hanging out with some gal’s parrot. My daughter loves the "Pirates of the Carribean" movies. I am just hoping I am not getting a glimpse of what a future son-in-law will be like! Other things to do during the day include Inflatable slides and a great playground for kids. For adults, there are all kinds of special events to watch or possibly take part in. They range from volleyball tournaments to speedboat racing, and make for major events. All this and more is on top of all the standard beach activities like parasailing and jet skis that are available in abundance. 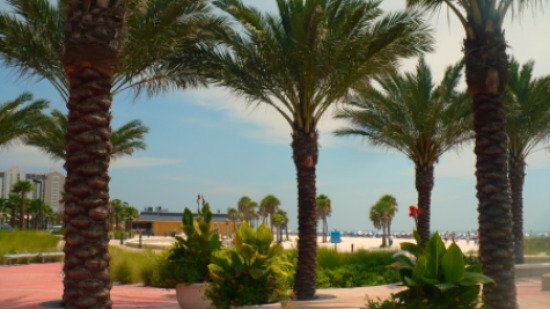 Vacationing in Clearwater is so much more than just what is available at the public beach. You see it is part of a string of beaches that are spread out across several barrier islands that run right alongside each other, and Clearwater Beach is right in the middle of these. This means your options in all kinds of things to do are wide open. For example, if you want to get away from the hustle of the main beach, Caladesi Island and Sand Key have been named among the best natural beaches in the United States, and they are less than 10 minutes away. 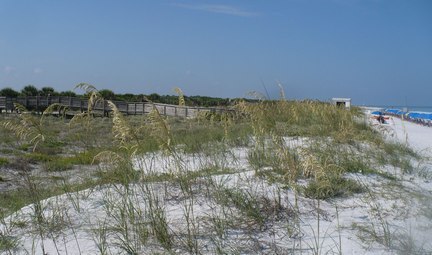 Caladesi Island State park is continually ranked in the top 3 natural beaches in the U.S., and is currently ranked #1 by Dr. Beach. This a great place to get away. In fact in order to get to this heavenly refuge, you must park your car and take a ferry out to the beach. The locals, however, often just pull up in their boats and hang out on the beach. Don’t worry, this isn’t just an island in the Gulf, it has facilities which include a snack bar and umbrella rentals. Caladesi, obviously, isn't a place to vacation at for several days, but it makes for a nice break from the action at Clearwater beach. Sand Key Park is kind of a compromise of the the other two. It has a park on it that is kept very natural, which makes for a quiet refuge, but it also has some resorts on it so that you can find great places to stay as well. About 25 minutes from Clearwater is a great place where I have spent many a day. Ft DeSoto State Park is another great natural beach, and it has an old US fort on it that is open to the public exploration. This makes for another very family friendly getaway. We had lots of fun there as kids. We used to love climbing on the cannons and exploring the dark rooms of the fortress. Everyone in the family will love it here. There are tons of facilities, and you can even camp overnight if you wish. It is also considered a top beach as well, and was named America’s Top Beach for the second consecutive year by TripAdvisor. 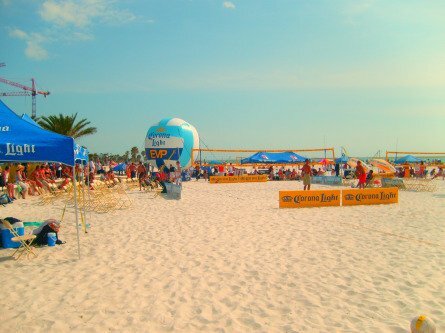 Clearwater Beach accommodations fit every lifestyle and budget. These range from historical registered resorts to brand name properties. Some of the best beach resorts in the world can be found on the Tampa bay beaches, and there are more being built. There is also Superior Small Lodgings that include condos, cottages and efficiency apartments, and even cozy, wooded campgrounds within minutes of the beach. From value to upscale elegance, you have your pick of the cream of the crop. New to the area are “condotels” which operate as hotels, with the expected hotel amenities, while offer individually-owned larger-than-normal rooms with small to larger kitchen facilities, upscale furnishings and expansive bathrooms. Even the resorts are set up like this where some of their accommodations are available for purchase as a residence. 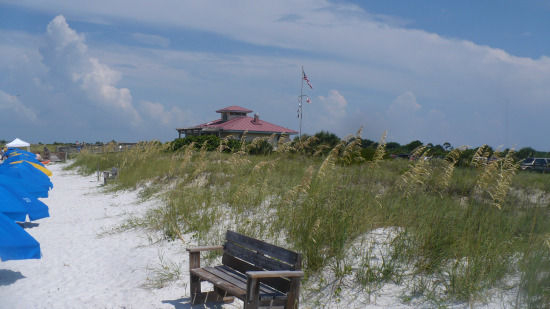 I have stayed at several places along the Tampa bay area beaches, and have enjoyed all of them. My sister, who lives just north of Tampa, loves to go to the SandPearl, located right on Clearwater beach. It is an upscale resort which is just 1 block from Pier 60. It has all the amenities you could ask for, including a spa. 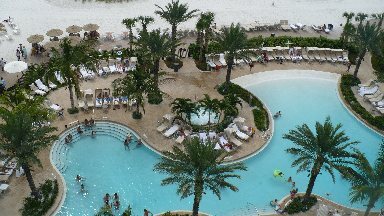 Here are some other excellent resorts in Clearwater & the rest of the Tampa Bay Area. More Pictures of Clearwater Beach.